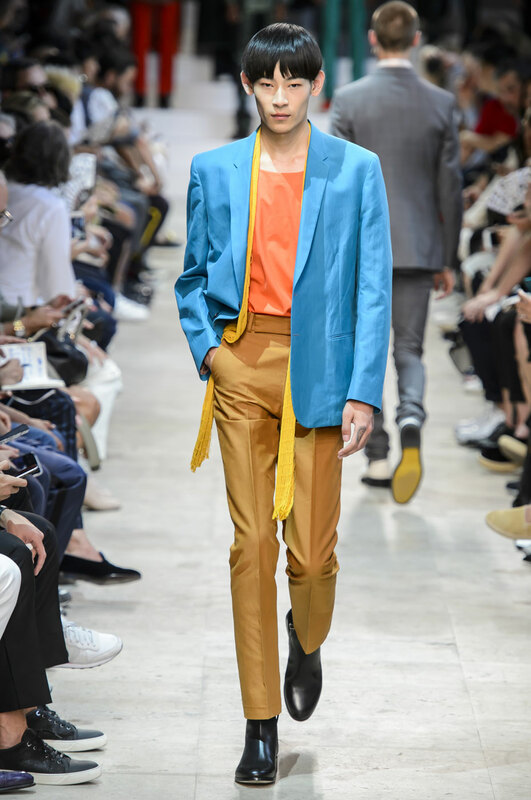 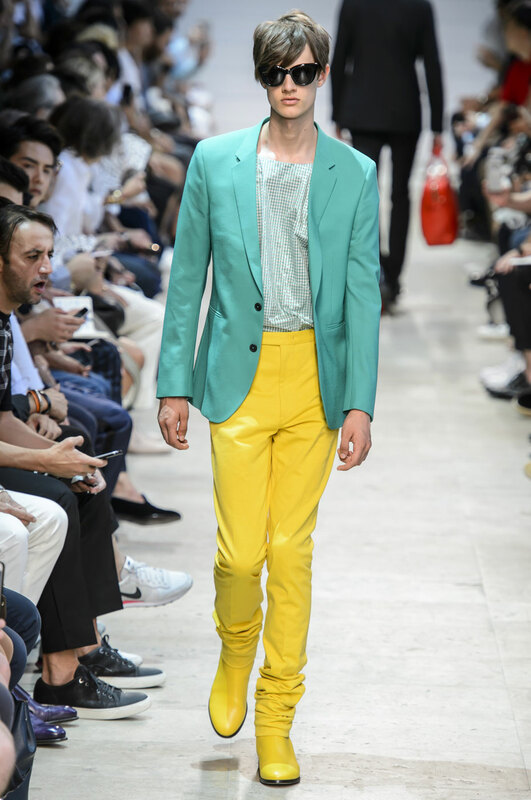 Beautiful, bright and summery colours make a clear statement in this collection, they are effortlessly and successfully integrated into this show and are perfect the spring/ summer season. 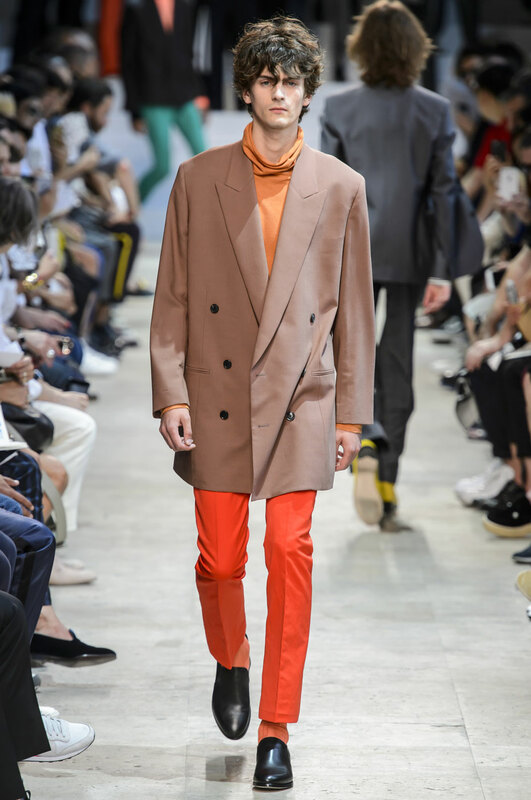 The colours are daring however due to the clean cuts and sharp lines of the pieces, the colours complement the nature of the vision Homes implemented for the collection. 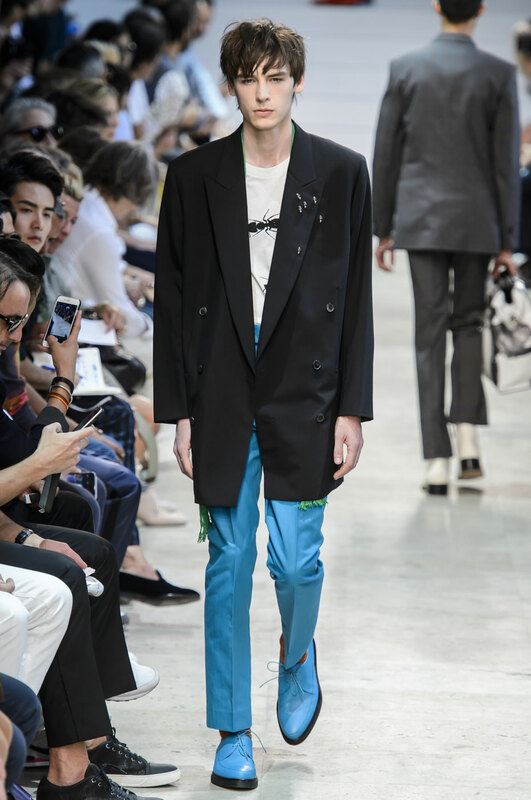 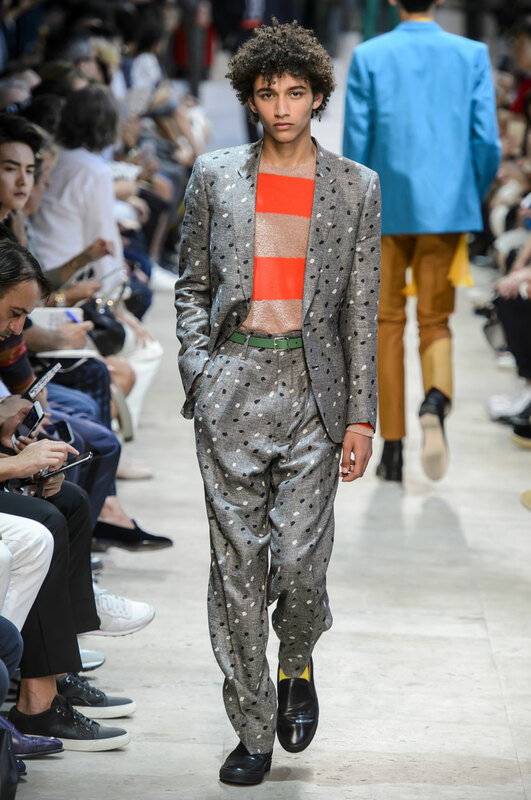 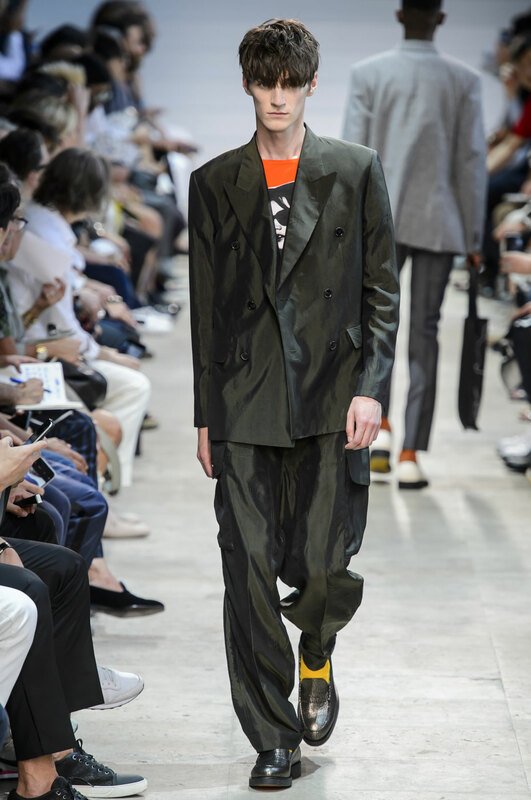 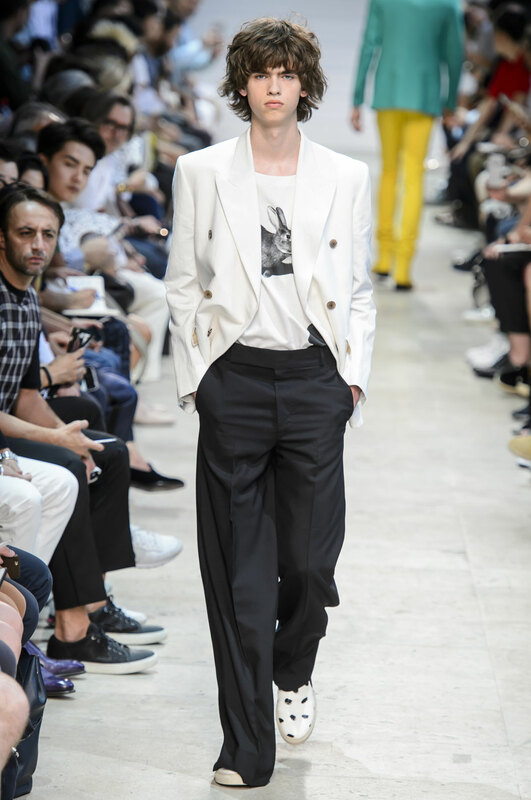 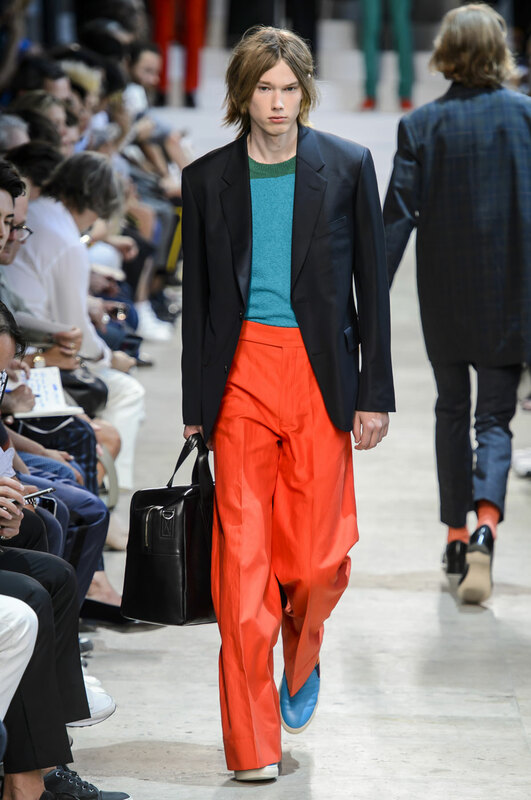 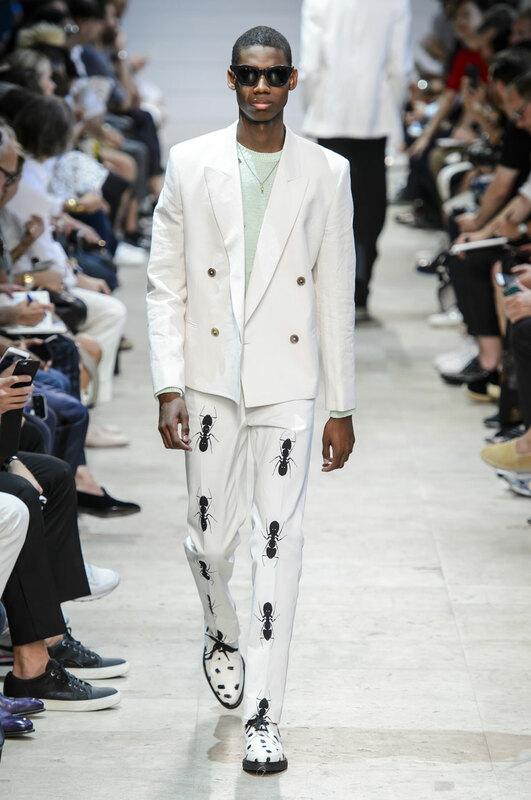 There’s a repeated large flamboyant Ant and Rabbit print running through the collection that appears on tops as well as trousers. 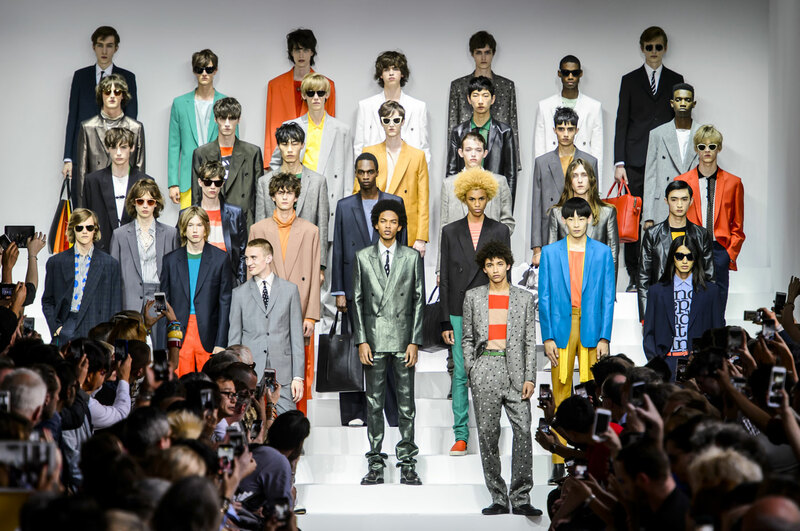 Jackets and coats take centre stage in this collection, with every one of the 32 looks being styled in either. 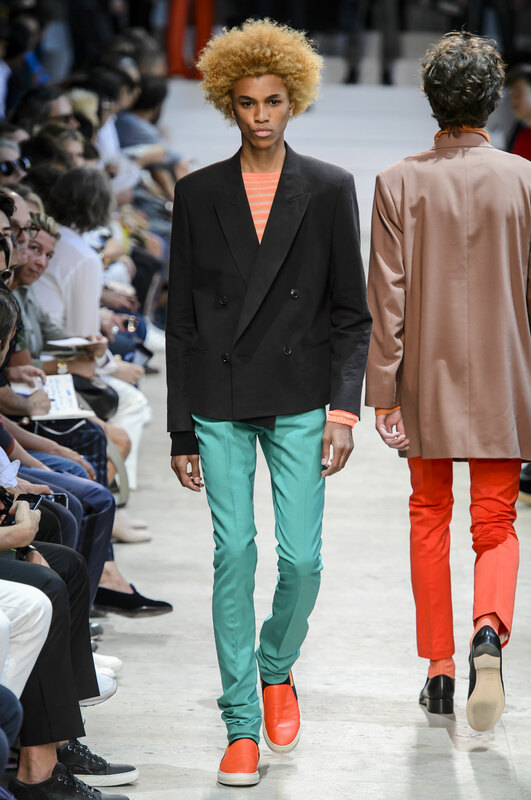 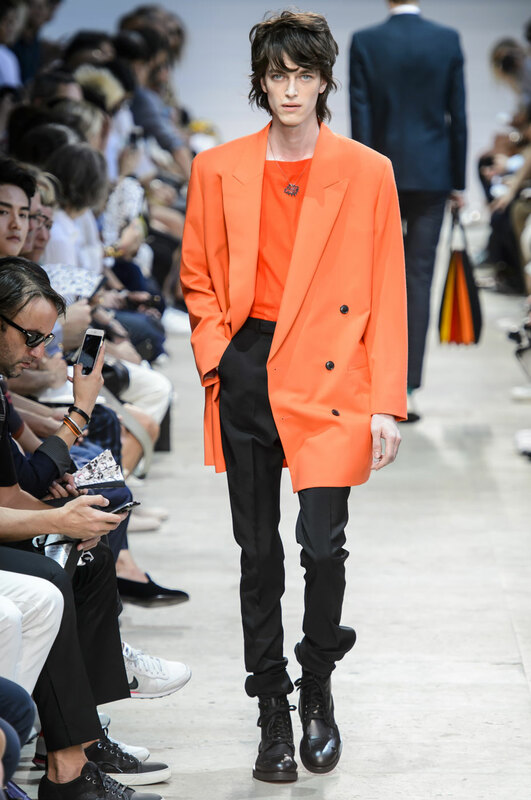 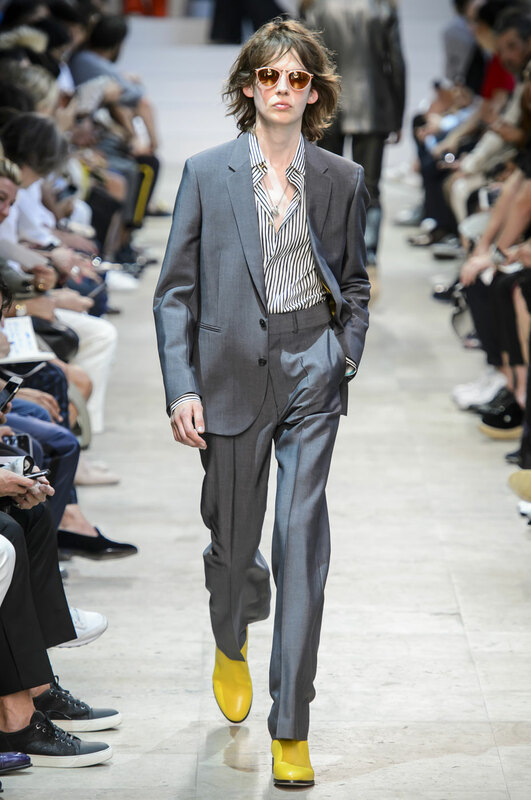 Interestingly loose fitting turtle necks have been used this season, styled with suit jackets to create a suave aesthetic. 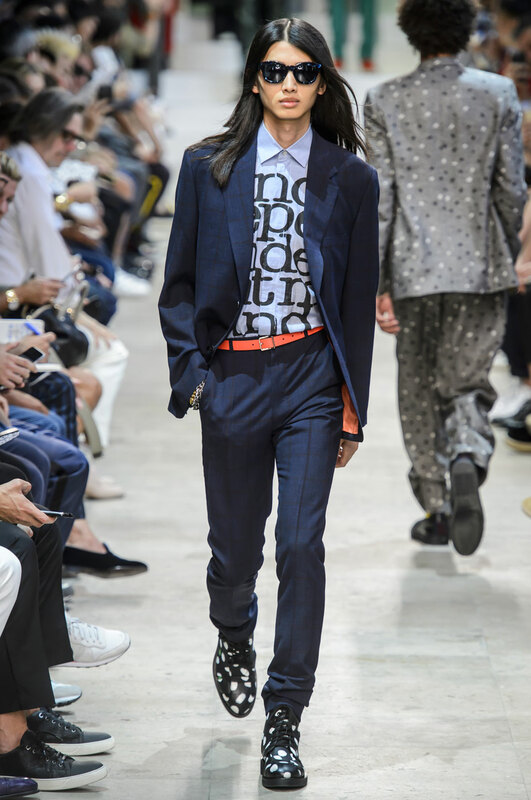 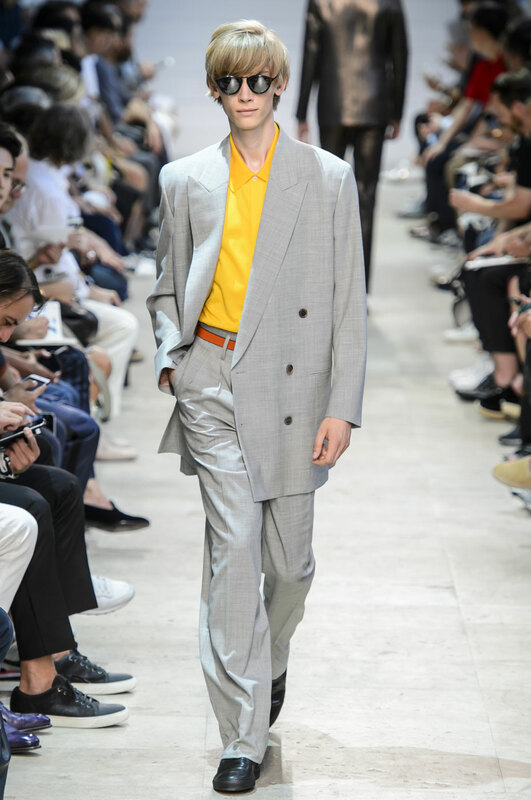 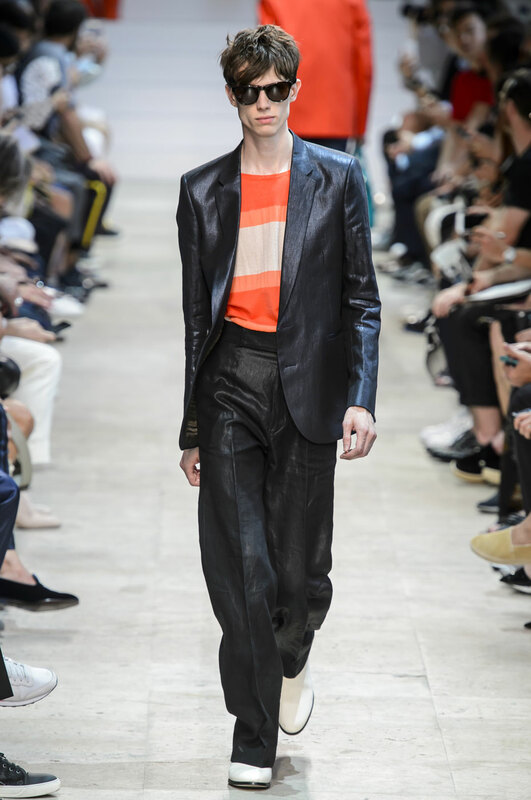 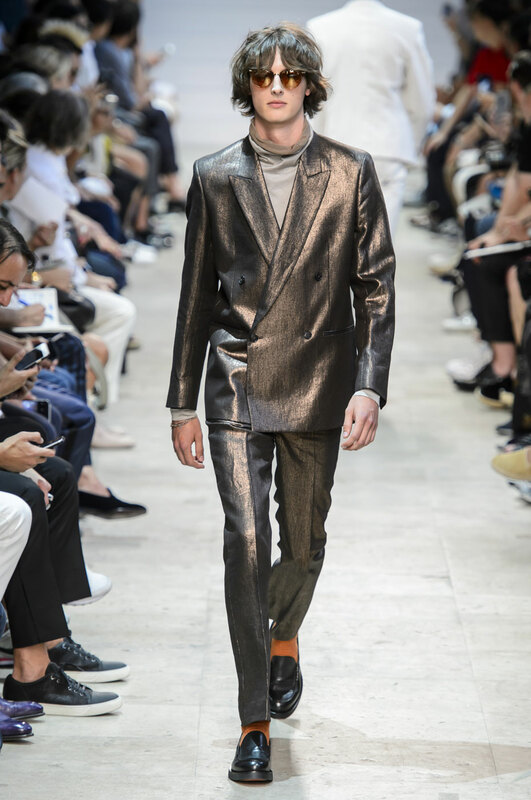 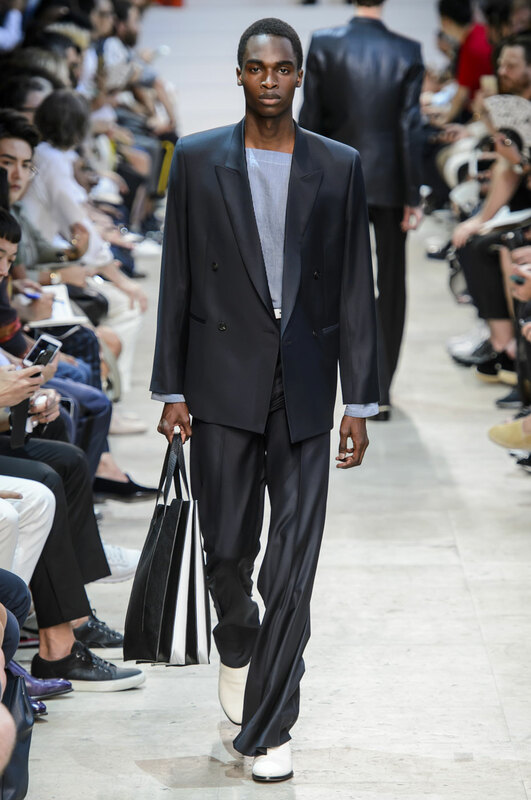 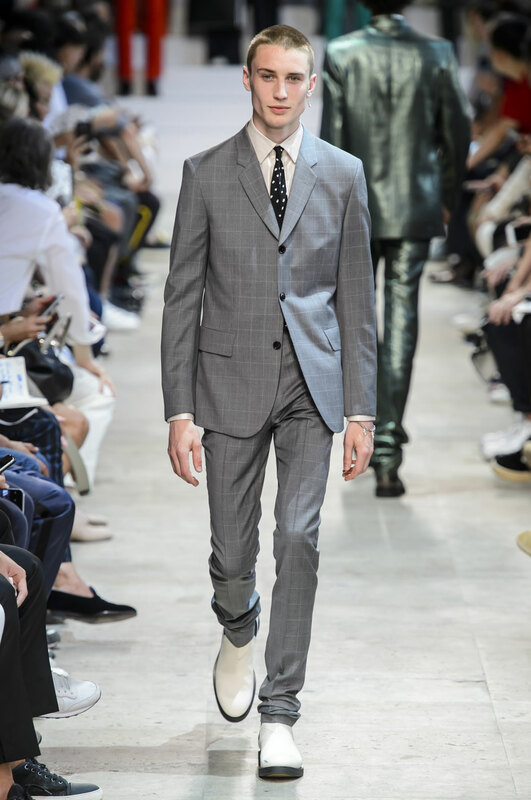 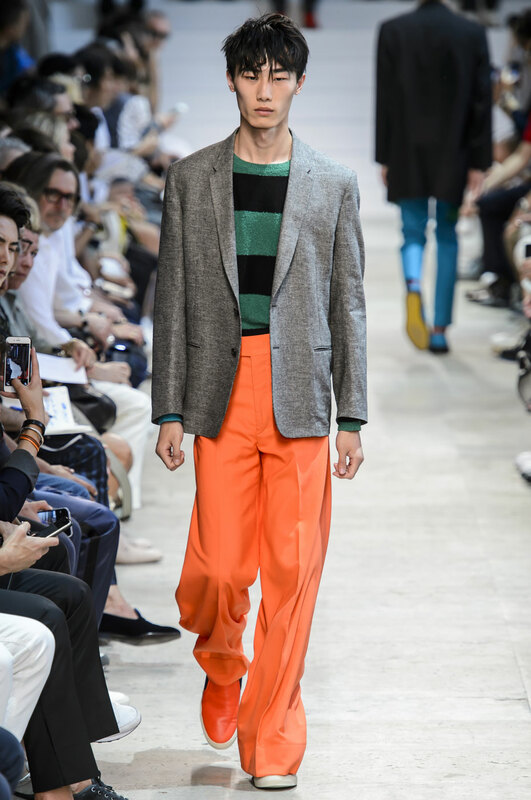 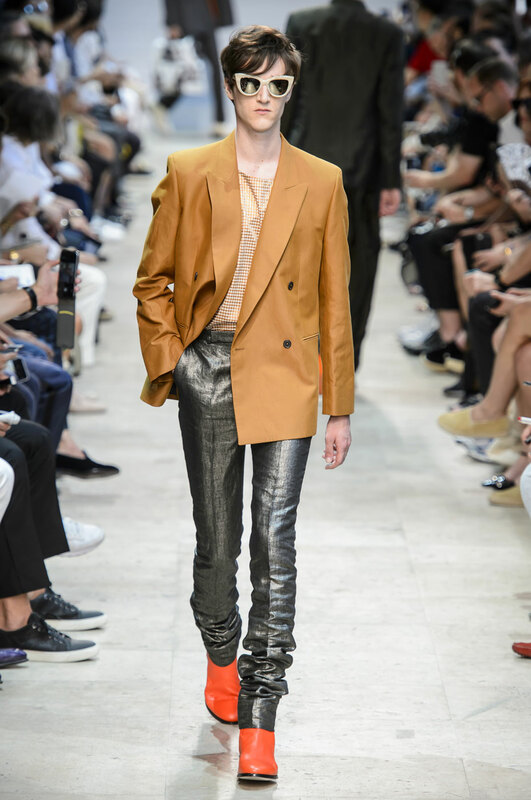 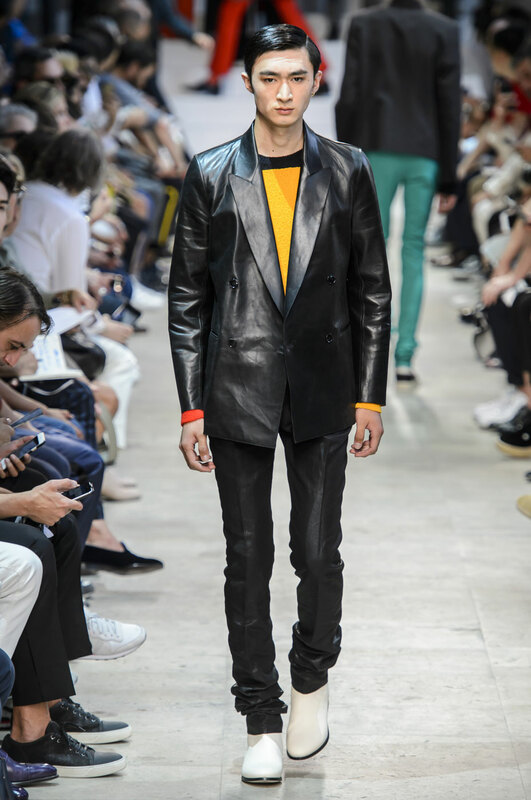 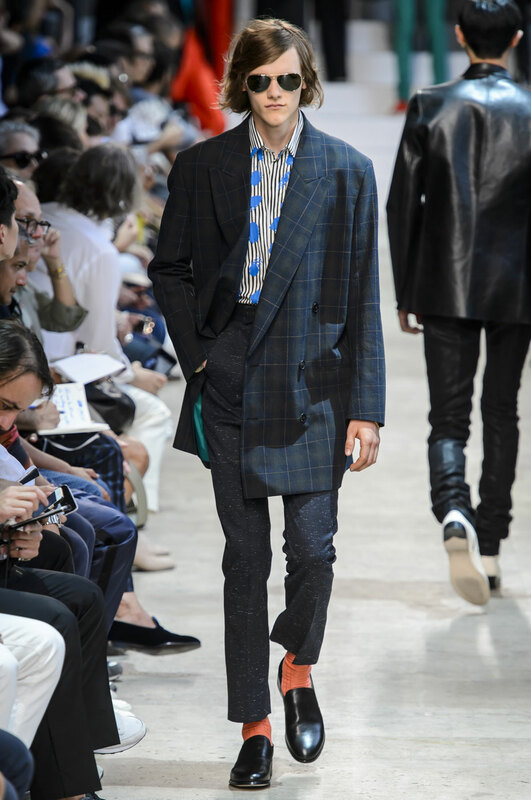 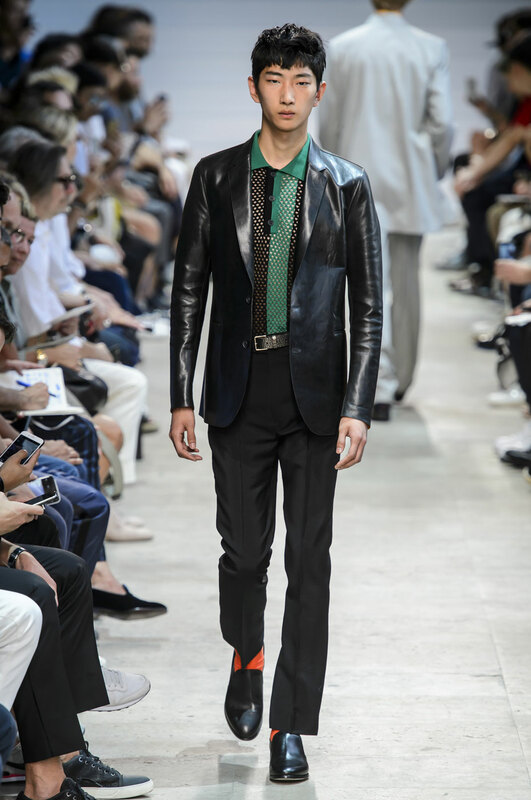 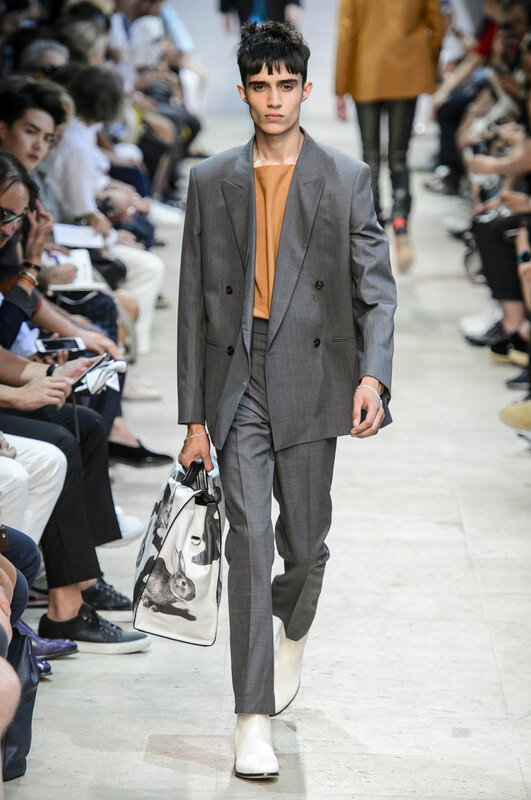 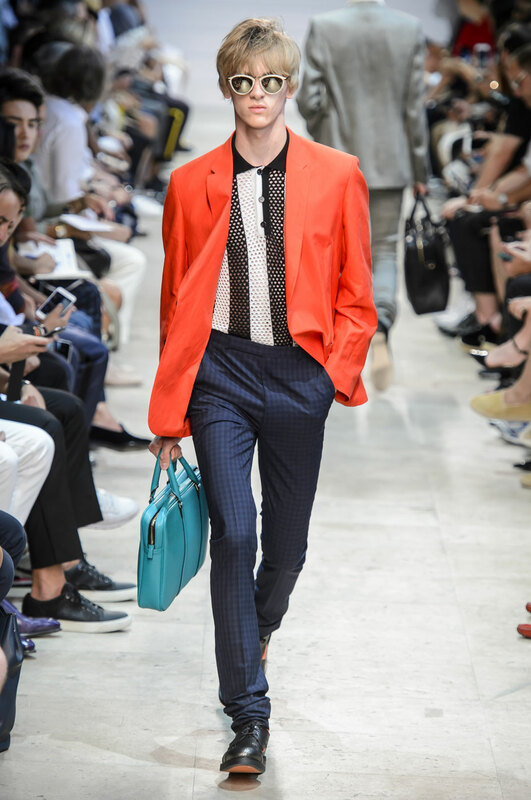 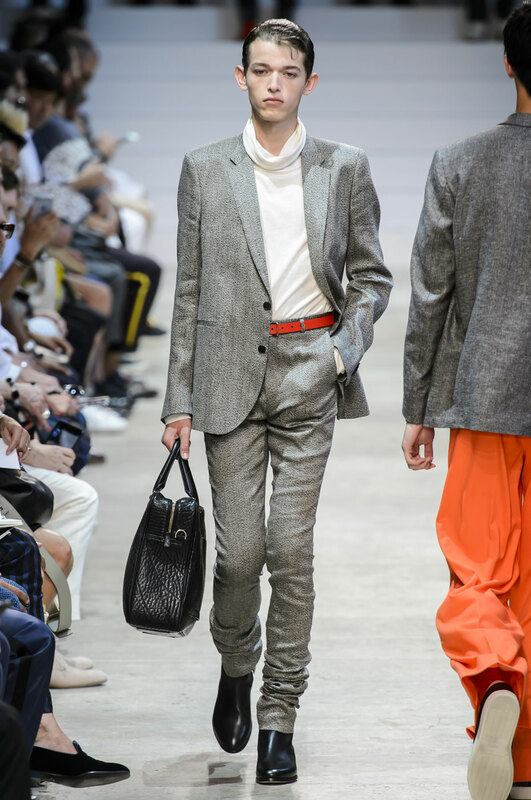 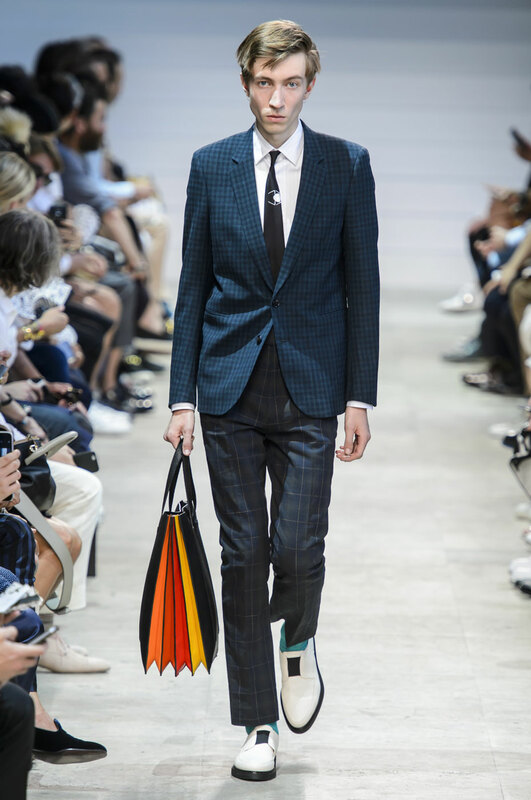 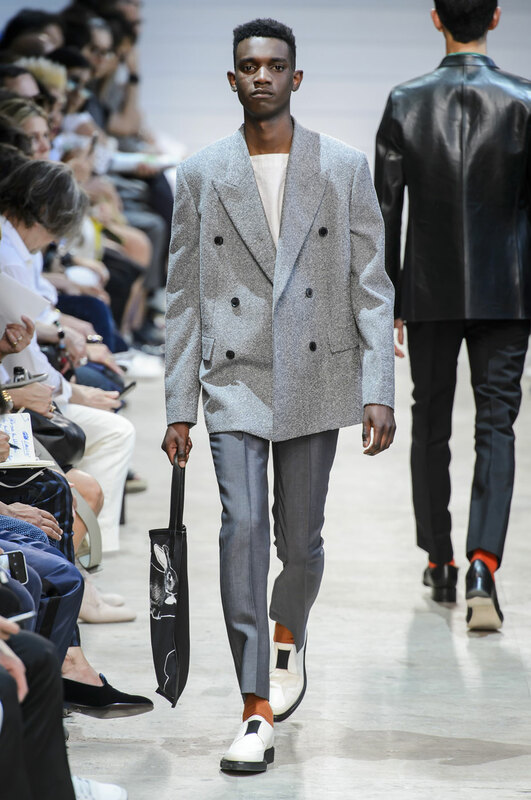 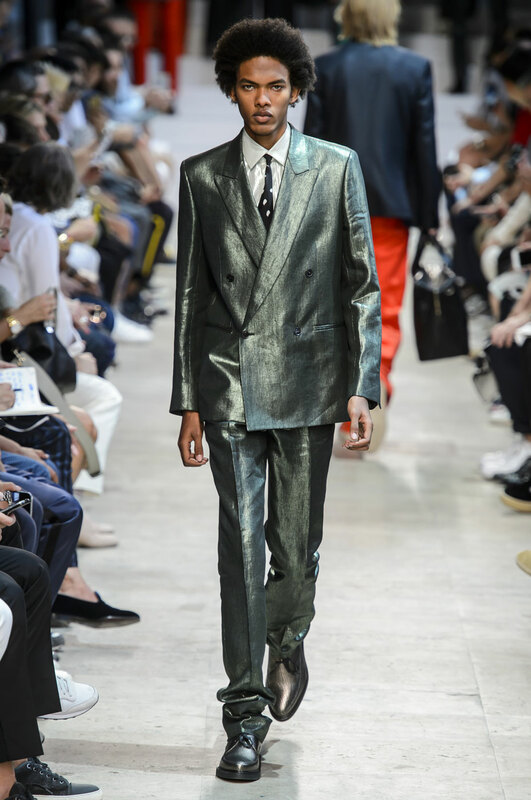 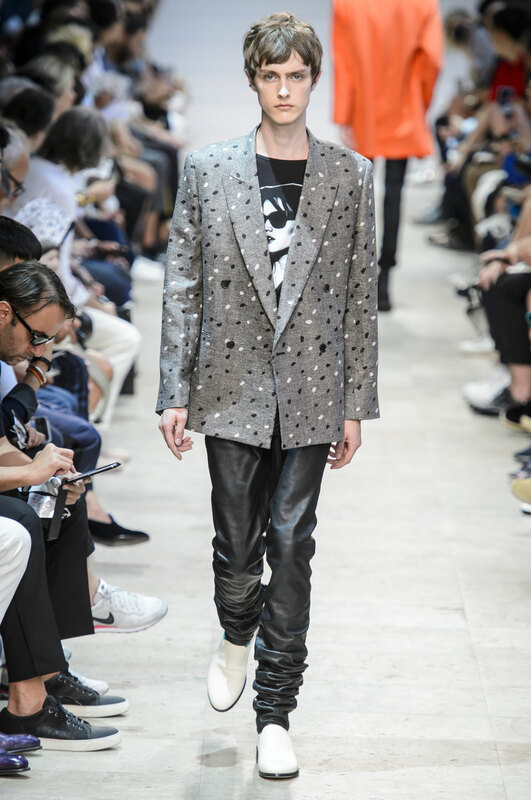 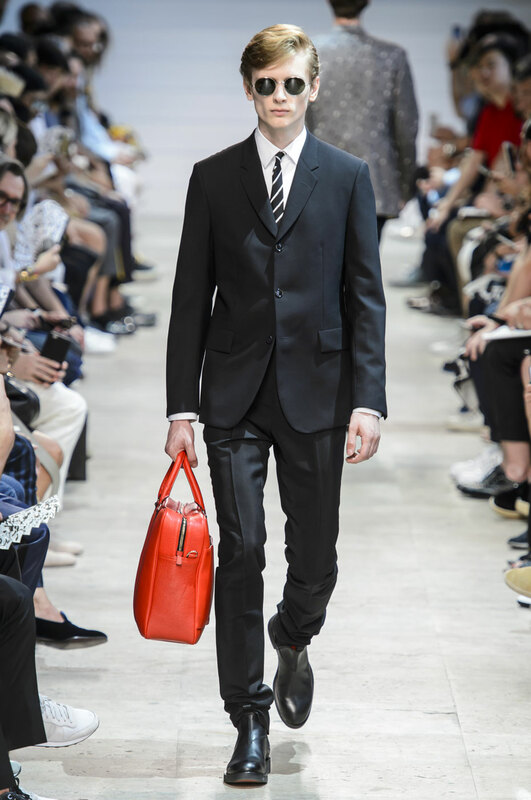 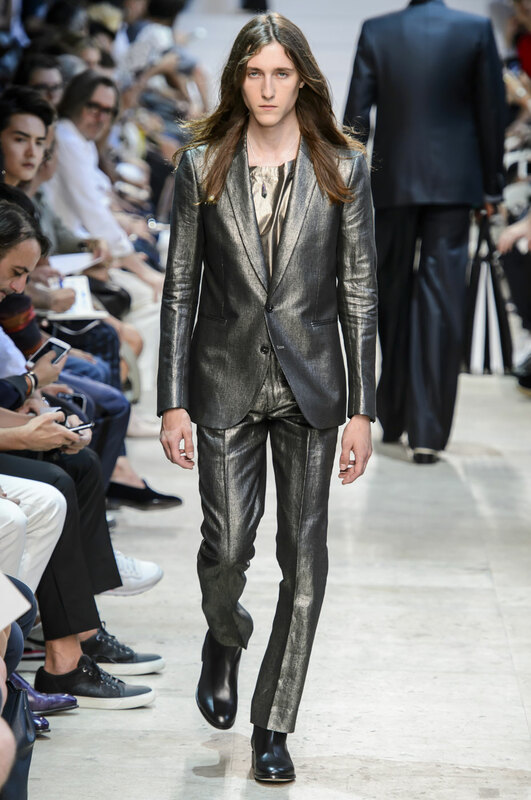 Three buttoned suits are predominant in the collection, another feature of the collection that embraces an urban, modern element is the use of skinny ties and black straight legged leather trousers.